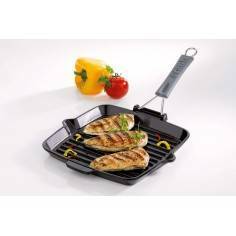 Our new Signature Rectangular Grill is ideal for searing meat, fish, vegetables, fruit or even bread with little or no oil for quick, delicious and healthier results. 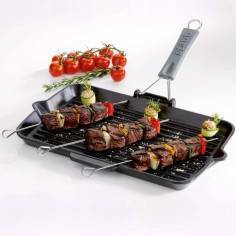 Made in cast iron, it will give all the delicious flavour of an outdoor grill, with all the convenience of indoor cooking. 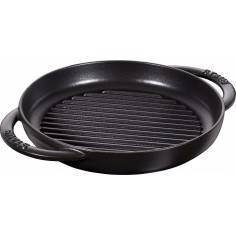 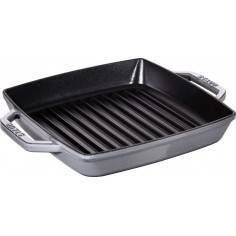 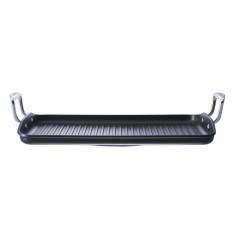 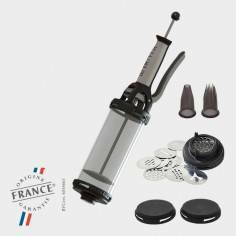 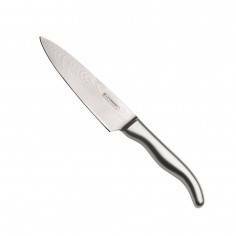 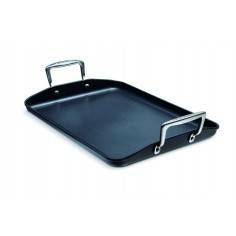 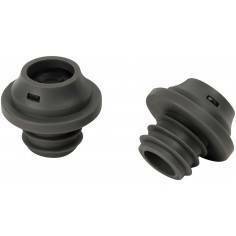 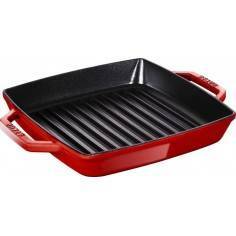 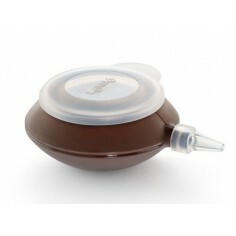 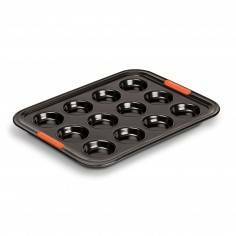 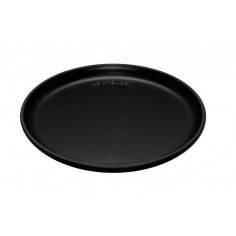 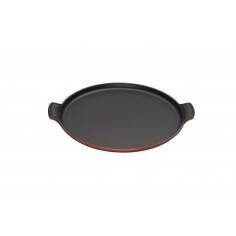 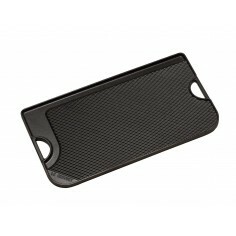 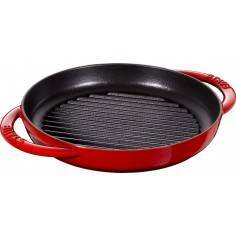 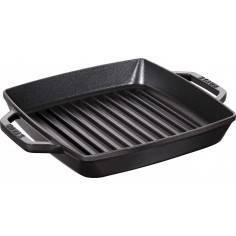 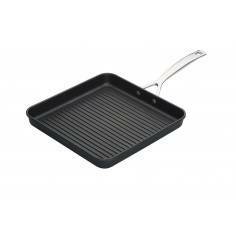 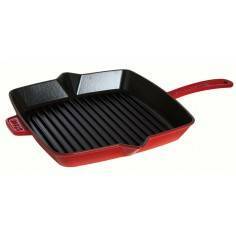 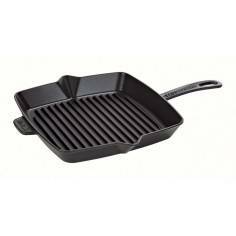 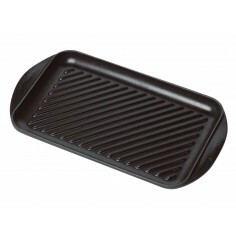 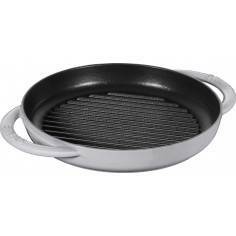 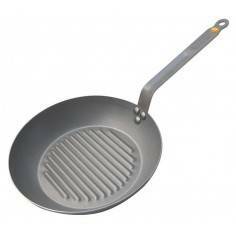 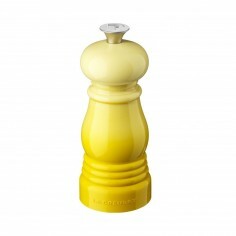 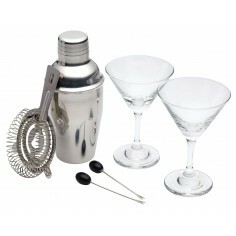 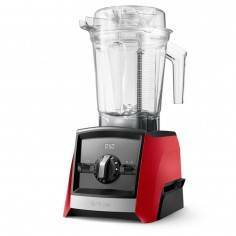 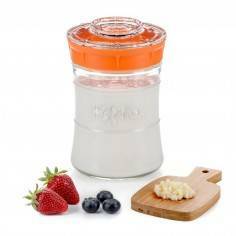 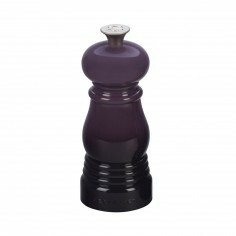 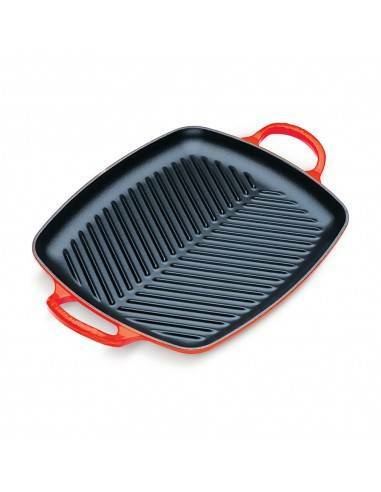 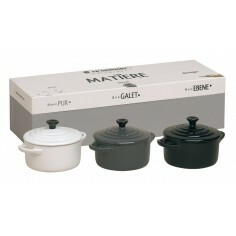 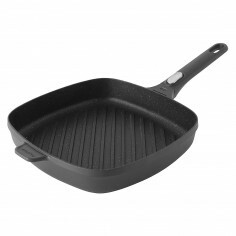 The ribbed base produces attractive, distinctive char lines on grilled food and allows any juices and oils to drain. 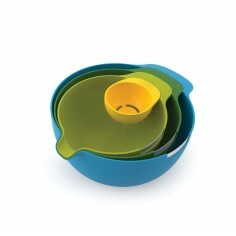 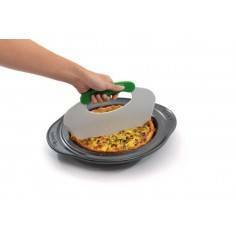 The special surface design, split into two parts, allows to cook different types of food at the same time. 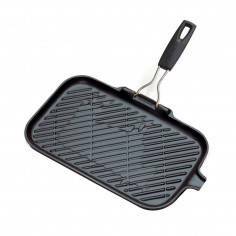 Setting the Signature Rectangular Grill apart are also its two, large easy-grip handles and the compact design makes for easy storage. 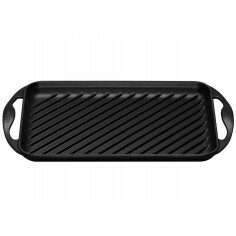 The Rectangular Grill’s interior is completely coated with Le Creuset's protective satin black enamelled finish making it very hygienic (no seasoning required) and ensuring there is no flavour transfer the next time you use the pan. 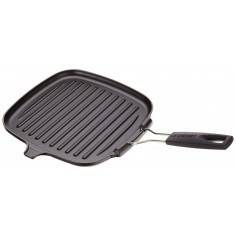 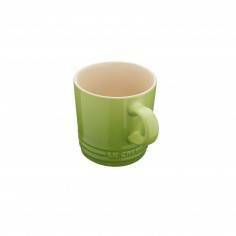 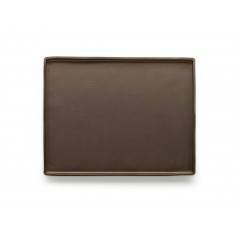 Extremely durable, this long-lasting surface withstands high grilling temperatures and will not wear off or peel. 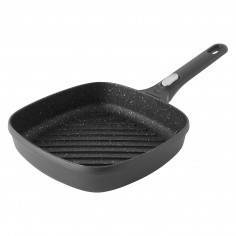 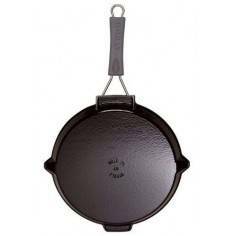 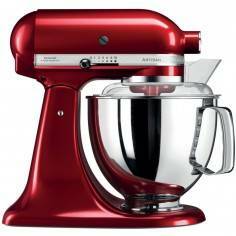 Over time, it will develop a natural patina that is ideal for searing and frying. 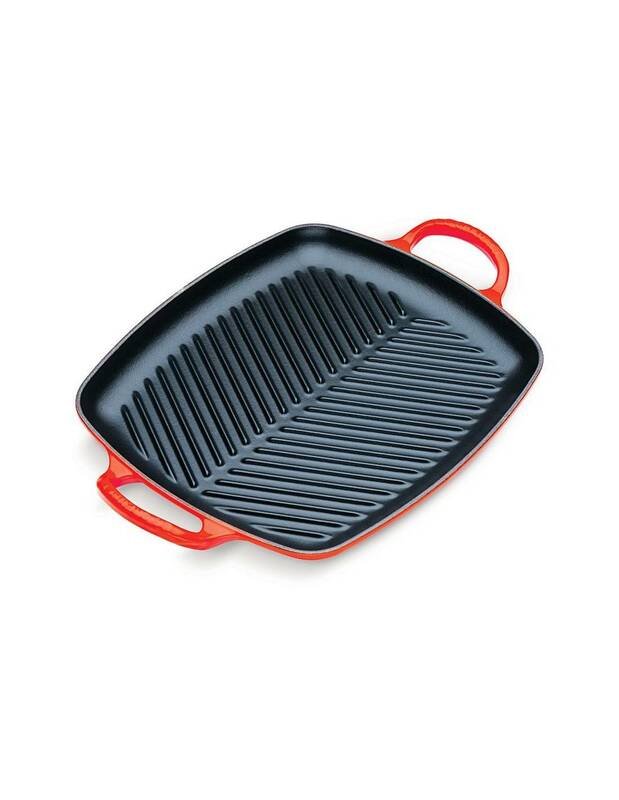 Suitable for use on all heat sources, including induction, and in the oven, the grill is available in a wide range of colours to suit all styles of home décor and comes with a reassuring lifetime guarantee.